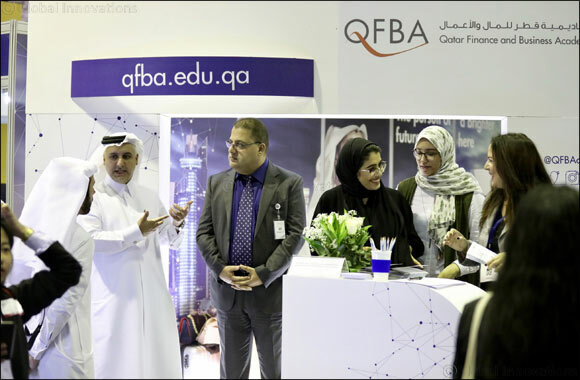 DOHA, Qatar –04 December 2018 - With an aim to expand its reach, Qatar Finance and Business Academy (QFBA) Northumbria University, participated in the University Expo, which was held under the patronage of His Excellency Dr. Mohammed Abdul Wahed Al Hammadi, Minister of Education and Higher Education Qatar on November 28 – 29, 2018 at Qatar National Convention Centre, Doha, Qatar. This Expo offered a poised platform for QFBA Northumbria to create an awareness about its bachelor degrees to a wider audience. “Furthermore, we plan to undergo several road shows in high schools of the country starting January next year to showcase the bachelor degrees being offered by QFBA Northumbria University. “He added.